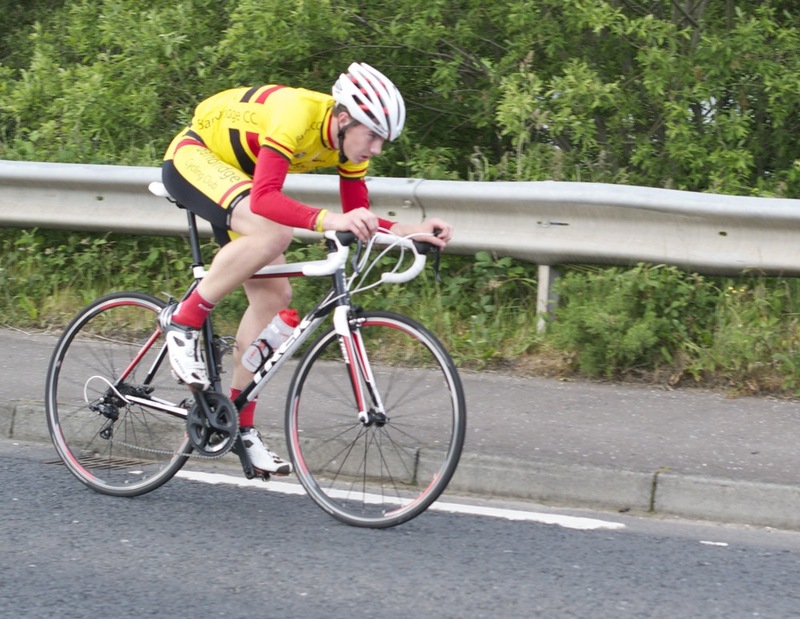 Wednesday 24th June saw 12 Banbridge CC riders line up for the Fusco cup 25 mile Time Trial on the Castlewellan road. Weather had everything; sun, wind and rain. 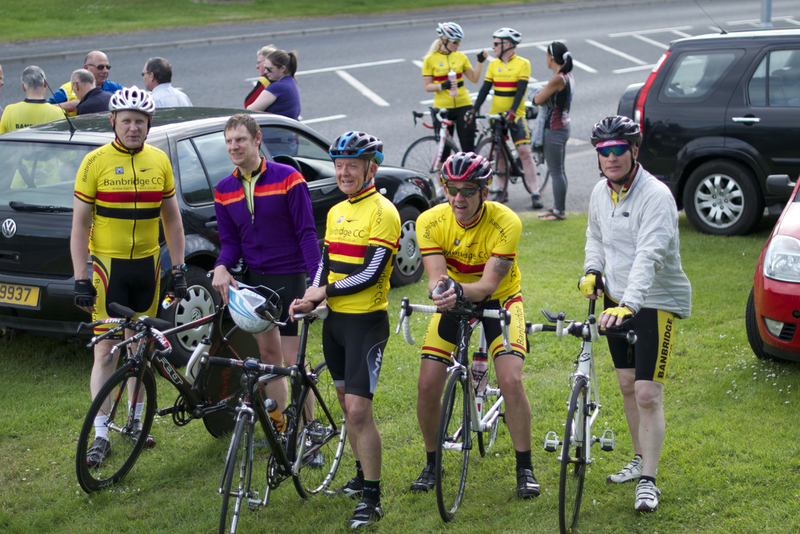 There seemed to be a lot of tired legs about and missing as an after effect from Sunday’s Grand Fondo where riders covered 170km in the Mourne Mountains. The TT course headed out the Castlewellan road, turned left at McCoy's Garage, and out to the horse shoe bend and back to Ballydown..
Brian Hannon made a welcome appearance back after a spell off with a broken clavicle -great to see him back in action. Maurice Mayne was on time keeping duties, setting the riders off individually at 1min intervals. 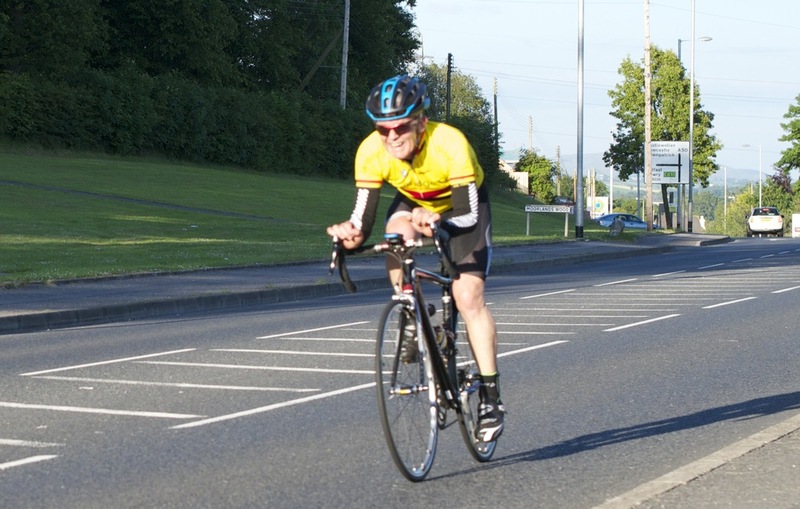 Paul Anderson was off first, but just behind him was the flying Fitz ready to see what could he do on his first 25TT. The man is obviously on form at present with 2 wins under his belt from his two club race outings. The 25TT is hard to keep your concentration going for such a long time on your own. Trying to keep a steady speed and not push too hard at the start so you have something left in the tank for the last 5 mile is not an easy task. Well that my opinion anyway. 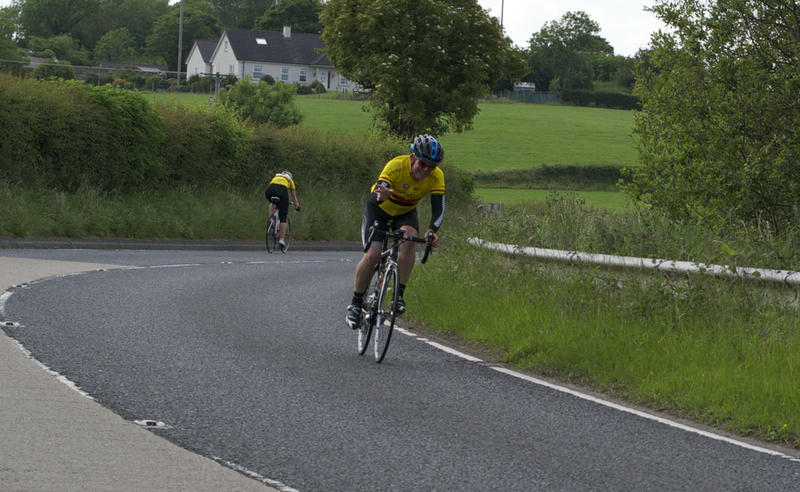 Mark Stewart must have been having other ideas however, he was already out in front on the road at the half way point. Could he keep it going ‘till the end? Oh boy, he didn’t half keep it going till the end! Mark posted up an amazing time of 63:09 on a standard road bike. This man has got some engine for his first club racing season. Marty Fitzpatrick crossed the line next with a great 69:30 for his first attempted at the distance. There was only one man on the night that no-one could beat, and no surprise it was the TT specialist Kevin Wilson with a time of 61:06, the quickest time of the evening.